Your dog is likely to look at any food in your hand like it’s the only food in the world – even if his bowl is overflowing with a meal of his own. But taking a moment to think about what’s in our snacks before we offer a bite or two can keep our dogs safe and healthy. Almonds are a favorite snack for people looking to live a healthier lifestyle, and an excellent choice according to nutritionists. 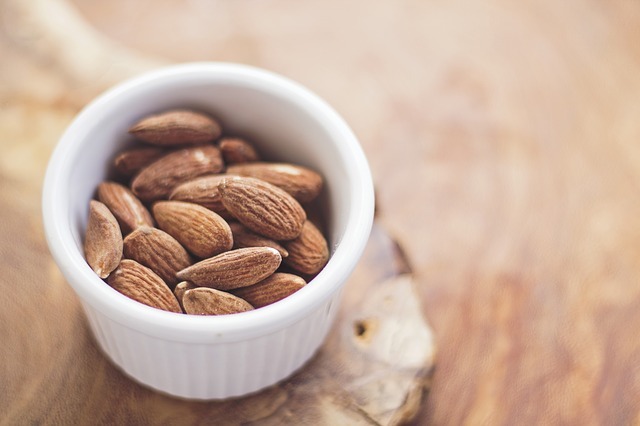 Munching on a serving of almonds instead of cookies or cake can help you lose belly fat and promote heart health. Fun Fact: The sweet almonds we get from our local grocery stores are totally safe to eat, but bitter almonds aren’t safe for anybody. Bitter almonds contain prussic or hydrocyanic acid, which can be deadly if consumed. It only takes 7 to 10 unprocessed bitter almonds to kill. Processing by baking or boiling destroys the toxin and makes them safe to use, but they’re still banned for sale in the U.S.
Other nuts that are safe for humans are still outright toxic to dogs. Macadamia nuts can cause temporary weakness, vomiting, diarrhea, and inability to walk in dogs. Walnuts and pecans are not toxic themselves, but many vets recommend avoiding them anyway because moldy husks can produce a chemical that is toxic to pets. Though almonds don’t contain anything that is toxic to dogs, there are still a few things to consider before you share your snack. Though some people prefer their plain nuts, almonds are now sold in a variety of flavored seasonings and coatings. Of course we know that chocolate is toxic to dogs, so we should never offer a chocolate-covered almond, but what about the other varieties? We really ought to watch out for the same things we wouldn’t usually give our dogs when it comes to seasonings. Excess salt, sugar, and artificial sweeteners go at the top of the list of things that should be off-limits. Some brands sweeten their almonds with xylitol to keep the sugar and calorie content down. Xylitol is another thing that is fine for humans but extremely toxic to dogs. The internet is littered with warnings from heartbroken owners who lost their dogs to artificial sweeteners – it’s best not to keep it in your home at all, especially if you have a dog who likes to counter surf. Dogs don’t chew as thoroughly as humans, so owners of small breed dogs should keep an eye out for potential choking hazards. 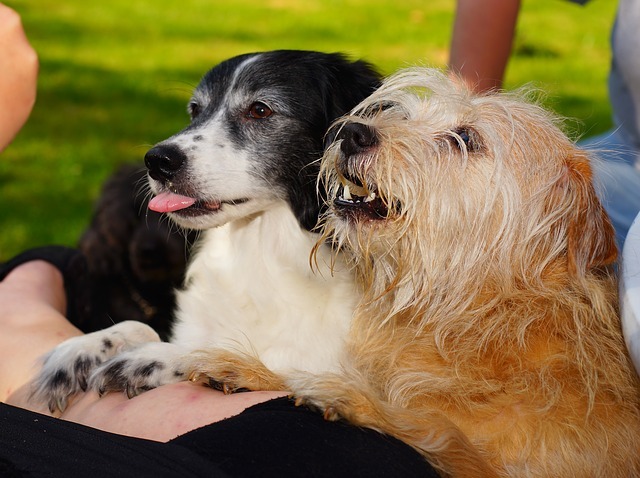 It isn’t as serious an issue with larger breeds, but with small dogs come small throats. Consider slivered or sliced almonds instead of whole, or break the nut in your hand before passing it over to your little dog. Like any non-essential snack, it’s important to consider your dog’s overall diet. Too many calories become excess fat, and too much excess fat can become obesity. 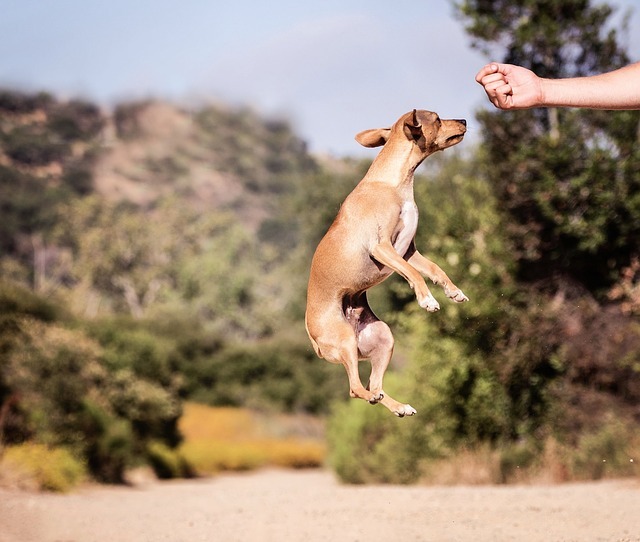 It’s more than just having a pudgy puppy, it’s also extra stress on bones and joints, and the potential to become bigger issues like heart and liver disease. Your dog’s caloric needs will vary depending on his breed, age, activity level, and current weight – it’s best to talk to your vet to figure out what he needs! If you’re considering switching your dog’s peanut butter to almond butter, there may be a few things you want to consider. Both butters are safe for dogs, with similar calorie and sugar content. Almond butter has much more vitamin E, iron, calcium and fiber than peanut butter. Still, peanut butter has pretty high amounts of all of these. 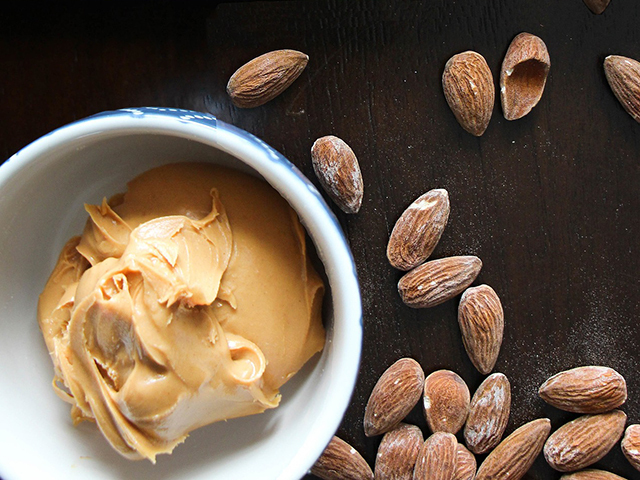 Almond butter is often considered a healthier choice than peanut butter, but only by a bit. Whichever you choose, be sure to pick a jar that doesn’t contain xylitol or added sugars, as many nut butters do. Can dogs eat almonds? Yes. But not all almonds are equal. The best choice are plain, unsalted almonds – raw or roasted. Remember to watch the size of the almonds to avoid obstructions, especially in smaller dogs, and not to feed too many. You might feel bad giving your dog such a small amount, but you can make your dog’s special snack last a longer by putting the nuts inside a treat-dispensing toy that will knock them out as it rolls around! 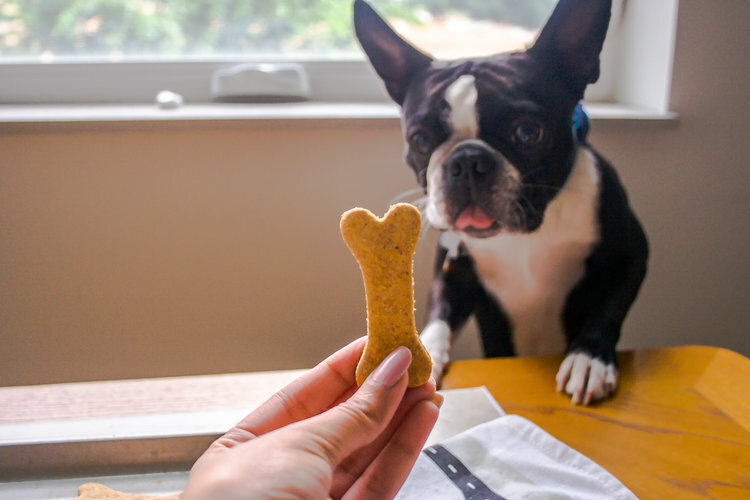 If you’re planning on baking treats, chopped or slivered almonds, almond flour, and almond butter without added sugar or xylitol are all great choices – especially if your dog has allergies and needs gluten or grain-free treats! 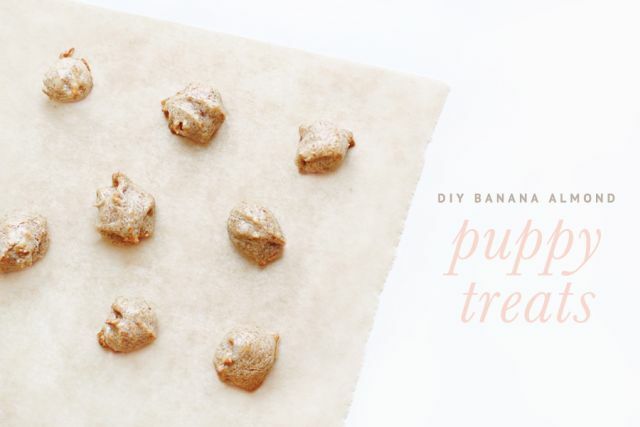 Banana-Almond Puppy Treats from Pretty Fluffy. 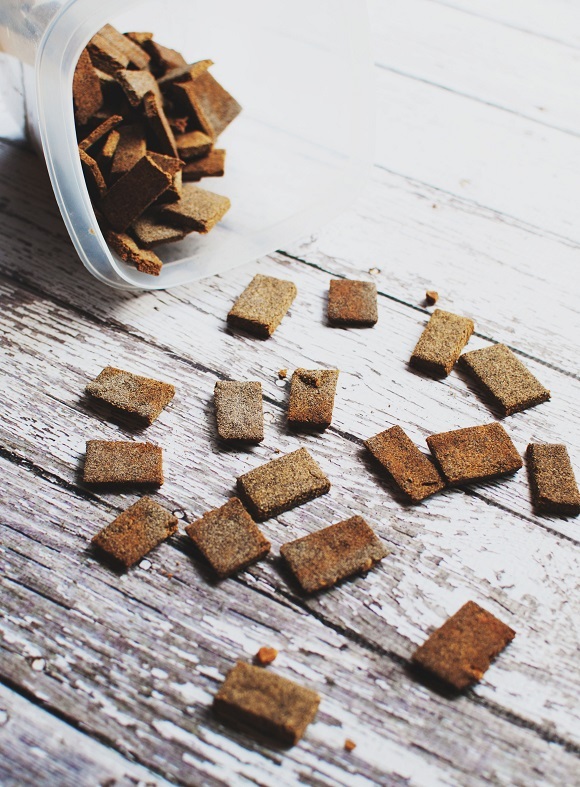 Sweet Potato Almond Butter Dog Biscuits from MoreThanYouCanChew. Almond-Coconut Flour Dog Treats from Sweet Recipeas.